According to the U.S. Department of Energy, greenhouse gases in 2010 skyrocketed by the highest amount on record. In fact, emissions from 2010 were so high that they surpassed the IPCC’s (Intergovernmental Panel on Climate Change) ‘worst case scenario’ predictions released just four years ago. In 2010, the world emitted 564 million more tons of carbon into the air than it did in 2009 – an increase of about 6%. The world’s biggest contributors to the huge increase in carbon emissions were the United States, China, and India. According to the DOE, China contributed 24.6% of global emissions, the US made up 16.4%, and India comprised 6.2%. Other countries with rising emissions levels were Saudi Arabia, Turkey, Russia, Poland and Kazakhstan. However, the picture from many of the world’s developed countries is substantially different. In fact, for the most part, developed countries that signed the Kyoto protocol have mostly kept their goals, reducing emissions by 8% from 1990 levels. The exception to that would of course be the United States, which had failed to ratify the Kyoto Protocol. If the world were to proceed through the IPCC’s worst case scenario, global temperatures would rise between 4 and 11 degrees Fahrenheit by 2100. If temperatures do indeed reach that high, the consequences could be disastrous, with sea level rise, more extreme weather events, disease, and famine, topping the list. 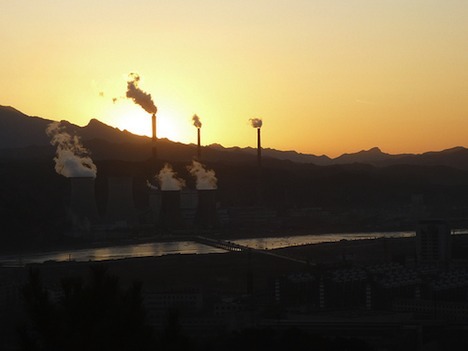 What are your thoughts on the latest carbon emission figures? Do you think the world can drastically reduce its carbon emissions in time to avoid the IPCC’s worst case scenario? Wind energy is now accounting for about 10% of electricity generation in Texas. However, it is mostly replacing natural gas rather than coal or oil. I recently read a post by a commentator who is concerned that a significant percentage of the savings in Europe have come from transferring energy intensive manufacturing to Asia. Thus, for every two steps forward, we take one step back. I am rather pessimistic about a concerted worldwide effort to make serious progress on CO2 emissions until climate change disrupts more people’s lives. I tend to agree, but I think the world will eventually go all out to cut emissions 80% by 2050. It’s just a question of when. Of course it should have happened long ago.